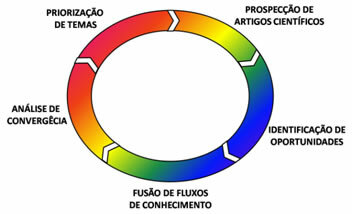 The Technology Transference Nucleus (NTT) is a laboratory of COPPE/UFRJ Civil Engineering Program devoted to Research, Development and Innovation (PD&I) and to qualify high level human resources. 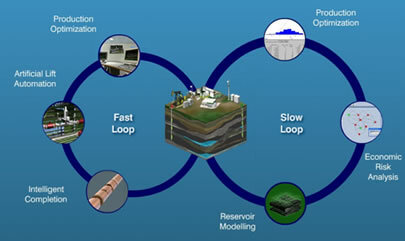 The laboratory supports mainly, the activities of the Computational Systems Area of the Civil Engineering Program (PEC), developing Computational Intelligence and Data Mining techniques used to model complex systems applied in Engineering. NTT research team is involved on PD&I projects in strong partnership with industry since 1977 when Brazil initiated offshore oil exploration. NTT initiated activities in 1993 and, since 1995, has developed researches in the Data Mining area as a pioneer of this technology in Brazil. In 1998, NTT organized the first international conference on Data Mining, event that will have its tenth edition in 2009. The NTT expertise, developed through institutional research projects, technological projects and PD&I in partnership with industry ensures high quality standards team works. Currently, NTT develops PD&I projects for several sectors: Oil, Energy, Environment, Bioinformatics, Telecommunication, Finances and others. Solid mathematical bases for the development of computational methods, using computational resources on parallel and distributed environments, database, graphical visualization, etc. support the team’s skillfulness. Development of Computational Intelligence and Data Mining techniques for complex system modeling have been the main focus of researches The work mainly involves the development of algorithms based on fuzzy logics, neural networks, support vector machines, genetic algorithms and nature inspired optimization techniques. Those techniques are widely applied in most knowledge areas allowing NTT collaborating with other PEC and COPPE research groups. NTT acts in practically all PEC academic areas. NTT helps the Structures & Materials Area developing material computational models mainly for large structure high resistance concrete. NTT is also involved in numerical model development considering the uncertainties on their parameters. The Oil industry, because of its multidisciplinary and complex nature, has promoted national technological development. Historically, the PD&I work developed at PEC aided Brazil to become a technological leader on offshore oil exploitation. On the other hand, the technological challenges encouraged theoretical and applied researches on this subject at PEC. 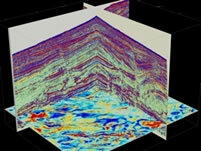 NTT acts in the Petroleum Area, in strong interaction with other laboratories, mainly LAMCE and LAMCSO, developing solutions based on computational models for different phases of offshore oil exploration, such as reservoir characterization through seismic data. In partnership with other laboratories, NTT acts in Digital Management of Intelligent Fields (GeDig), aiming to research and study new technologies for the development, modeling, operation and integrated management of intelligent fields. This work also seeks global process optimization, considering technical and economic uncertainties. Results of the interaction of NTT with the Environment Area such as a partnership with LabSAR for remote sensing image analysis for the identification of environmental sensitivity indexes at Amazonia, and the characterization of oil exudations at the Gulf of Mexico should be enhanced. 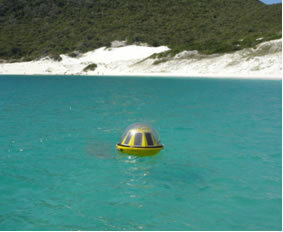 In 2006 NTT initiated the project on Phytoplankton Biodiversity Characterization and Identification through Flow Cytometry and its Applications on Coastal Ecosystem Management. The interpretation of flow cytometry data through neural networks proved to be very useful and efficient for coastal monitoring. 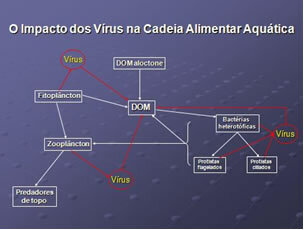 Thus, further studies should be fulfilled aiming the recognition of other important functional groups such as viruses and marine zooplankton and the implementation of a genetic / environmental database to allow the use of data mining tools in the research of environment virus sequences. Since 2007, NTT has participated in the Evaluation of Environmental and Socio-economic Impacts of the Implementation of Rio de Janeiro Petrochemical Complex – COMPERJ project aiming to follow up and monitor the facility through high resolution remote sensing images, geo-referenced data and data mining techniques. During the last years, considering that around 80% information is stored as text forms, the development of scientific research in the Area of Computational Systems has been focused on the extraction of knowledge from document collections. Thus, NTT developed research on new efficient algorithms for document analysis and classification. Recently, the analysis of complex document networks has been focused making use of the results of statistic physics and aggregate spectral models. The impact of the internet on human development has been compared to the invention of the printing press with deep technological, economic and social transformations promoted by information scattering on the “big net”. Several domestic and international research centers are devoted to study the internet from its physical characteristics (protocols, routers, etc), to its topological characteristics and also its potential use for information diffusion and knowledge transference and generation. Following this tendency, one of NTT research lines works on methodologies used to increase knowledge generation and network cooperative work. A project to develop Convergent Technologies in a collaborative environment supports this research line. In this project, a pioneer e-science initiative in Latin America, specialists from different knowledge areas discuss important research subjects, aiming to find technological convergences which may allow the generation of innovative knowledge to promote national economic development. NTT is located at the Technology Center, Block B, room B-100. During the last years, NTT has frequently renewed its hardware and software resources, mainly bought through institutional research projects and the financial aid of national promoting agencies (CNPq, FINEP and FAPERJ). The research team is also supported by the computational resources of partner laboratories at PEC (LAMCE) and COPPE (NACAD).